Something's loose in that forest, but you’re the predator on its trail. 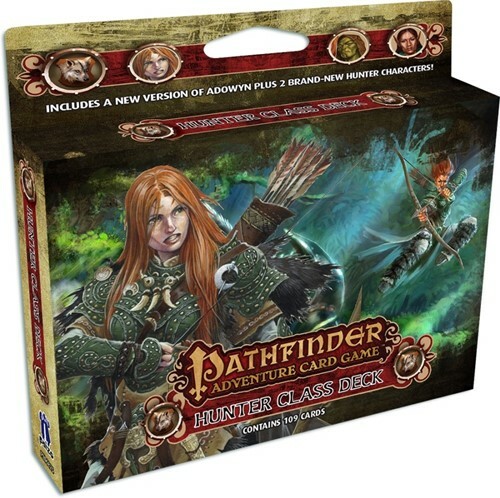 The Pathfinder Adventure Card Game Hunter Class Deck features three new characters who track down beasts and malefactors and give them what for. This 109-card accessory for the Pathfinder Adventure Card Game gives you the cards you need to add some hot pursuit to your game. 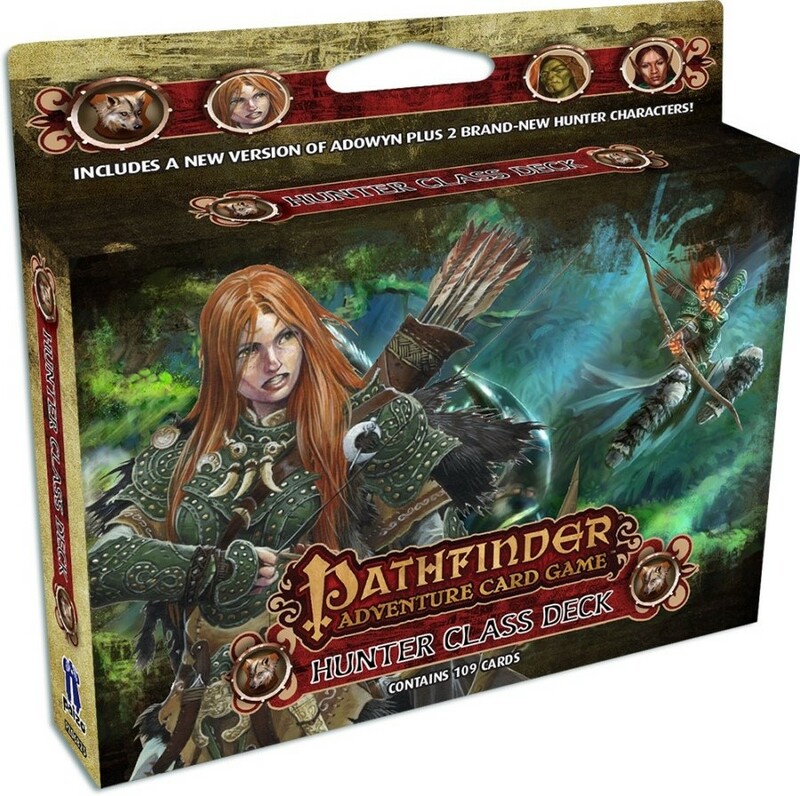 Take your hunter from whelp to alpha dog in any Pathfinder Adventure Card Game Base Set or in the Pathfinder Society Adventure Card Guild organized play campaign!